Office Depot reported this year that it will position its unique features -- next day delivery, 6,000 IT technicians, and 28.6 million customers, to name a few -- into a multi-platform service to become a fully omnichannel business by 2020. The office supply chain is off to a strong start, offering thoughtful attribute-based suggestions on its website, app-exclusive deals on mobile, and an extensive communication preference center. Office Depot reported spending upwards of $32.5 million on its media budget for 2017, including its personalization strategy to target specific customers with its pointed advertising. It launched a consumer-focused campaign (rather than a business-focused campaign) in August 2018 for back to school items. 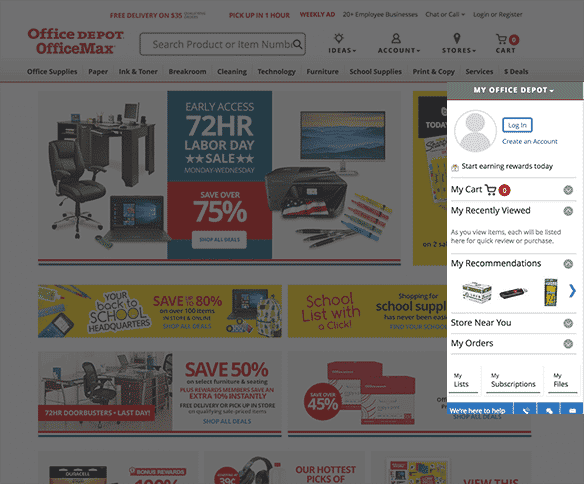 The “My Office Depot” web feature organizes all customer needs in a sticky right rail. 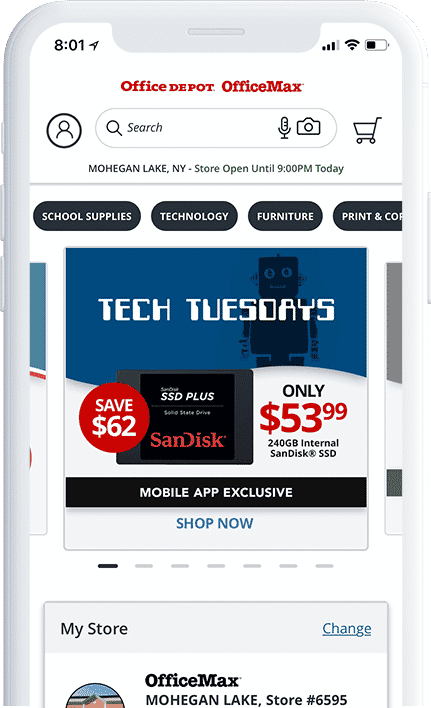 The feature allows you to view a store near you, your most recently viewed items, cart, and orders in one convenient sidebar, keeping recommendations and other key information front-and-center versus buried under product information, reviews, and other information in most other ecomm experiences. We love Office Depot’s strong email preference center and email recommendations. Office Depot’s attribute-based recommendations appeal to corporate and home office managers who might have forgotten certain ‘complete the look’-type items, such as ink and toner materials. 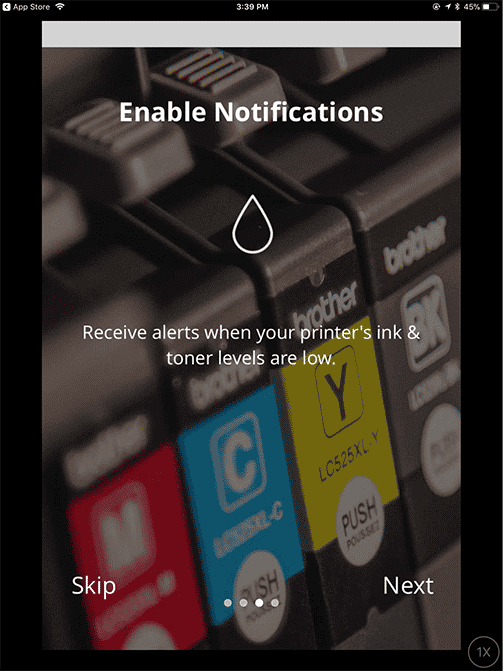 Office Depot’s mobile app offers all the modern bells and whistles with exclusive deals only available on the app and other services like ink and toner monitoring, which means that the app can do more than just push product. This is strong thinking about how to take what would otherwise be a commodity buy and turn it in to an actual experience.